Does your family like iced tea? Probably the easiest recipe to share with you. I make this Instant Pot Iced Tea about once a week, especially in the summer. The whole family loves it! 5 bags – we like just plain old black tea.. usually grab the Organic Black Tea at walmart! Close lid and seal. Set to 3 minutes. This will take a while to heat up, since it’s a lot of water.. I would say about 20 minutes or so. Once the 3 minutes are up, Manually Release the Pressure. Fish out the tea bags. Here’s a time saving tip: Tie the tea bags all together and then they are easier to spoon out of the tea. I let it just set there for awhile to cool a bit. Now you can sweeten it. If you sweeten it while it is still a bit warm the sugar will dissolve really easily. I usually take half of it out and then put regular sugar in Mr. Love’s half and our Sugar free natural Sweetener in the other half. I found these super cute glass jars at Walmart for 3 whole bucks 🙂 and they fit perfectly in the fridge! 1/2 - 1 cup sugar plus my natural sweetener for mine! When it's come to pressure and cooked for the 3 minutes you can manually release the pressure. fish out the tea bags and discard. I usually leave the lid off and allow it to start to cool. 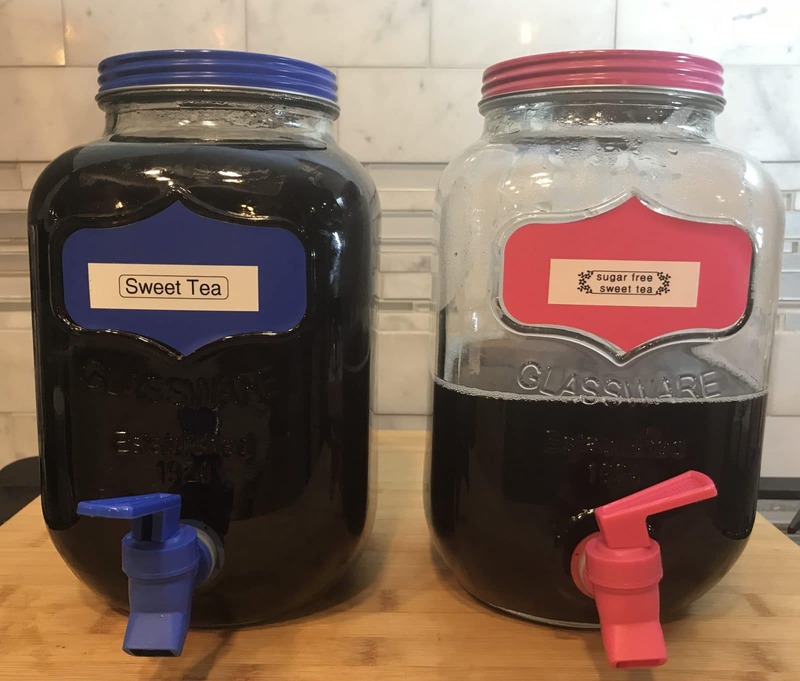 After it has cooled a little, I take out a portion of the tea out and add my own sweetener to this pitcher (usually about a 4 of a cup of my home made sweet blend) I mix in the cup of regular sugar to the tea remaining in the IP. allow this to continue to cool. Then I transfer the rest into a bottle or pitcher. Store in the fridge and enjoy. 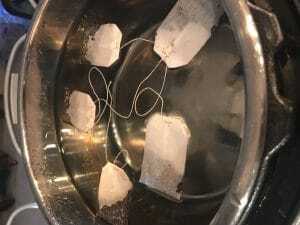 You can change the strength of your tea by adding less or more tea bags. Make whatever kind of tea you'd like by choosing different flavors of tea bags. And of course customize your desired level of sweetness.